Rodos Star Hotel nestles in lush gardens and trees on the hillside on the outskirts of Afandou. This stylish hotel is the perfect place for a quiet and relaxing holiday on the beautiful Greek island of Rhodes. After breakfast, grab your towel and head down to the pool for a morning's sunbathing. Younger guests have their own pool to splash around and there are also video games, a pool table, big-screen TV to entertain teenagers. Keeping in touch with family at home is easy; there is an Internet service in selected areas. Make yourself at home in the contemporary surrounds of your guest room. Keep cool under the air-conditioning as you catch up with the news on the satellite TV. Your private balcony is the ideal spot to sit and admire the local sunsets over the Mediterranean Sea. There's plenty to tempt your taste buds. 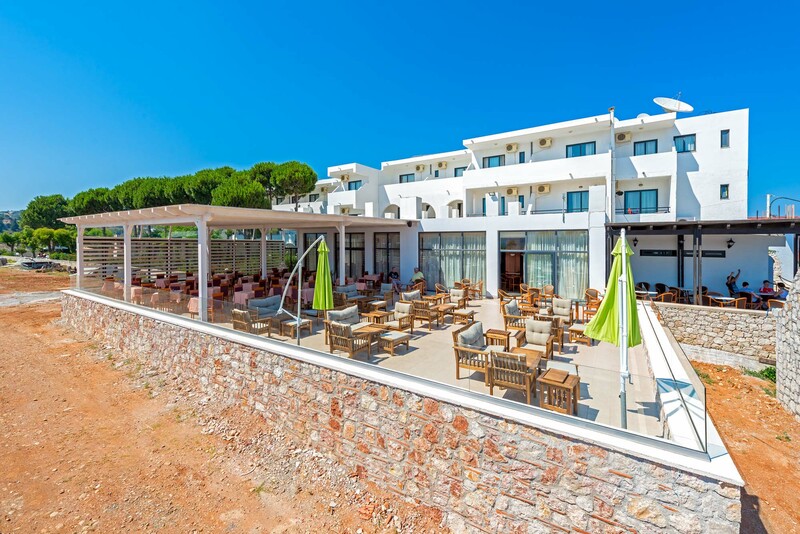 Tuck into Greek and international buffets in the main eatery or enjoy light bites and drinks just steps from your sun lounger. The barman is happy to mix your favourite cocktail to enjoy on the outdoor veranda or while you watch the impressive line-up of evening entertainment. 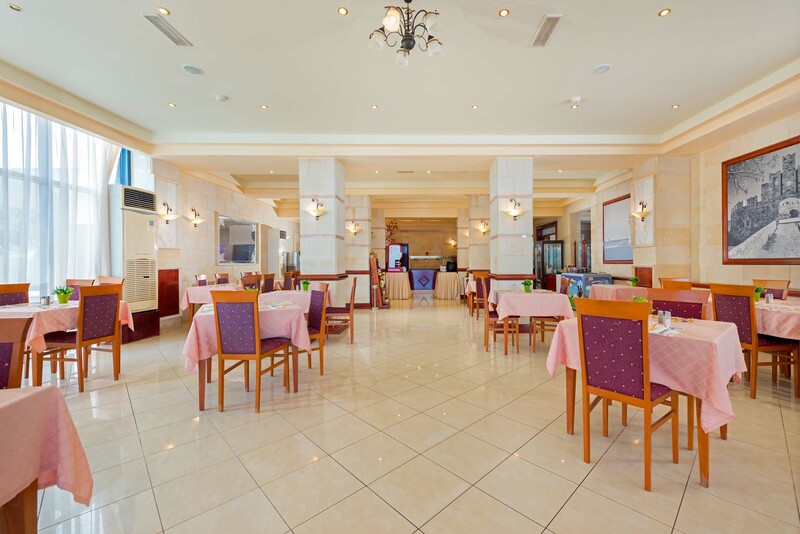 Discover why Rodos Star Hotel is a popular place to stay for Rhodes holidays. Rodos Star Hotel offers plentiful facilities, including: an outdoor swimming pool, children's pool, sun terrace with sun loungers and parasols, restaurant, snack bar, cocktail bar, bar veranda, special children's menus, mini market, gift shop, and Internet facilities. 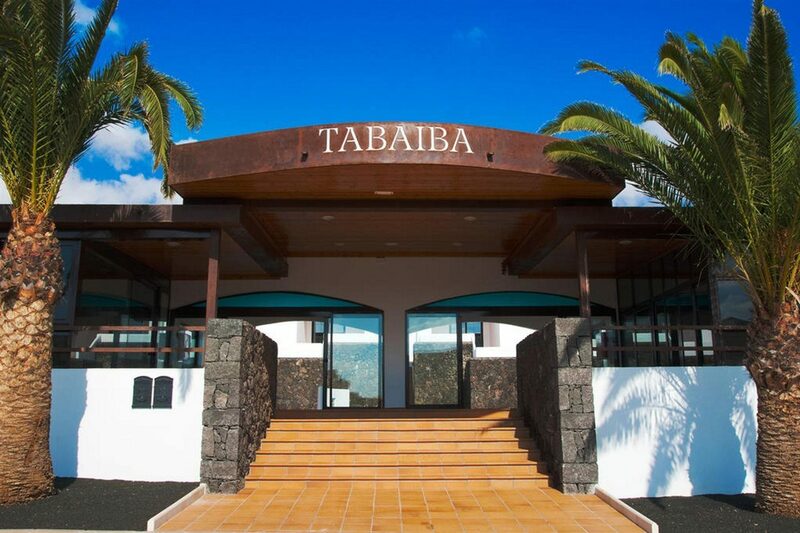 The 24-hour reception offers currency exchange, safety deposit box hire, babysitting on request, car and motorbike hire, and golf lessons with a PGA golf professional. Sports and recreation options include: video games, daytime animation programme, pool table, big-screen satellite TV, and golf lessons. 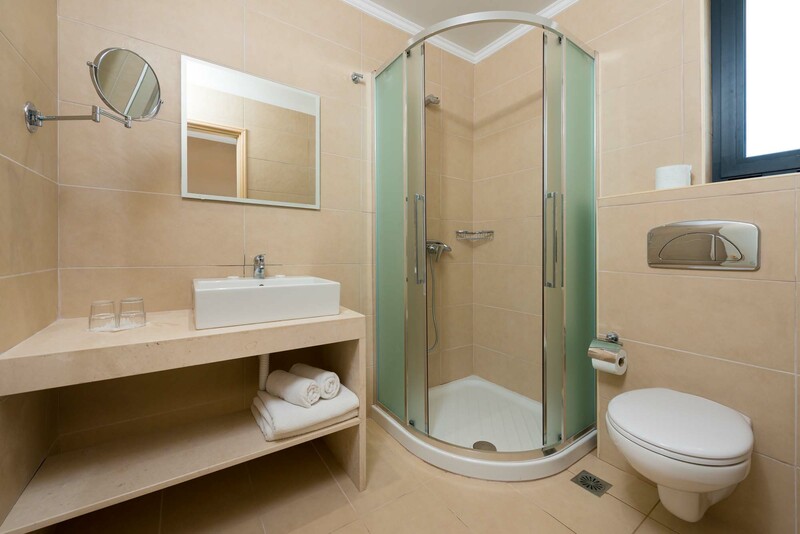 The hotel has a total of 44 modern guest rooms. 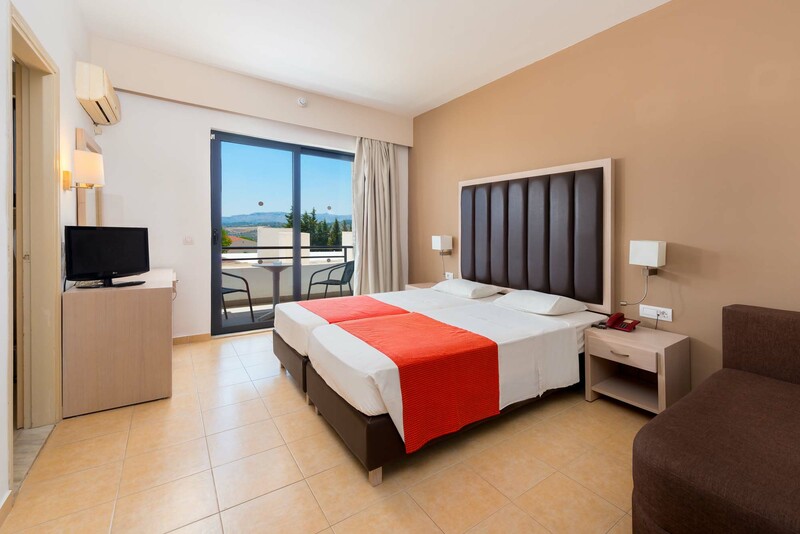 Each room is equipped with a satellite TV, balcony, bathroom with shower and WC, hairdryer, direct dial telephone, Internet access, and individually-controlled air-conditioning. Nectar main restaurant serves buffet-style meals, with Greek and international dishes and child-friendly fare on the menu. Light bites and drinks are served at the poolside snack bar and Orfeas cocktail bar is the perfect place to unwind with pre-dinner drinks and after-dinner music. The evening entertainment programme brings live music, folklore nights, BBQs, karaoke nights, and bingo to the hotel.